Welcome to the DMPS Physical Education Department! Physical Education is an important and unique part of the daily instructional program. Not only does it contribute to the overall goals of education, but it also contributes to the development and maintenance of fitness, motor skills, social skills, health, and brain development. ​​This website is designed to support teachers, instructional coaches, and leadership with all levels of physical education curriculum, instruction, and assessment. Please use the navigational tools at the top of this page to access needed documents and resources. Active kids learn better, but the benefits don't end there. Physical education programs teach children lifelong skills to keep them healthy. Physical education addresses the needs of the whole child by helping children exercise both their bodies and their minds, with a positive impact on their physical, mental, and emotional health. Studies show that active and fit children consistently outperform less active, unfit students academically in both the short and the long term. They also demonstrate better classroom behavior, greater ability to focus, and lower rates of absenteeism. 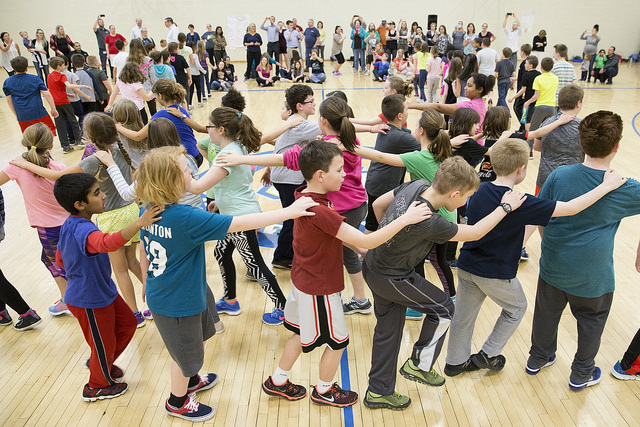 ​The Des Moines Public Schools offer a comprehensive, hands-on approach to learning and mastering the skills in physical education as a key part of our Educational Philosophy, Vision, Mission, and Student Expectations. The Des Moines Public Schools Exist So That Graduates Possess the Knowledge, Skills, and Abilities to Be Successful at the Next Stage of Their Lives. They demonstrate an understanding of the value of fine and performing arts in society. They demonstrate proficiency in technological and information literacy. They demonstrate critical thinking and problem solving skills. They exercise sound reasoning in making complex choices. They exhibit creative, innovative and entrepreneurial thinking. They understand the attributes of physical and mental well-being. They learn from and work with individuals representing diverse cultures and religions in a spirit of mutual respect in school, work, and community. They understand the rights and obligations of citizenship at local, state, national, and global levels. They are actively engaged in community life. They will be exposed to languages and cultures of the world. We are proud recipients of this very prestigious award, especially since Edmunds Elementary is the one of the first schools in Iowa to receive this award. By embedding physical activity and physical education minutes into their schedule, Edmunds Elementary is becoming the model for our state. Edmunds Elementary has been able to engage learners and ensure that physical education and physical activity is a priority of every students' educational experience.